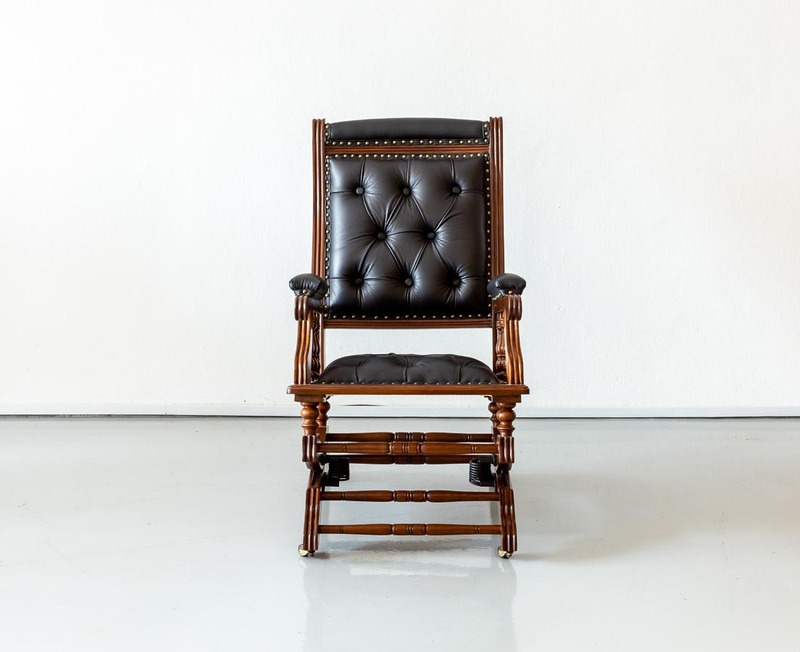 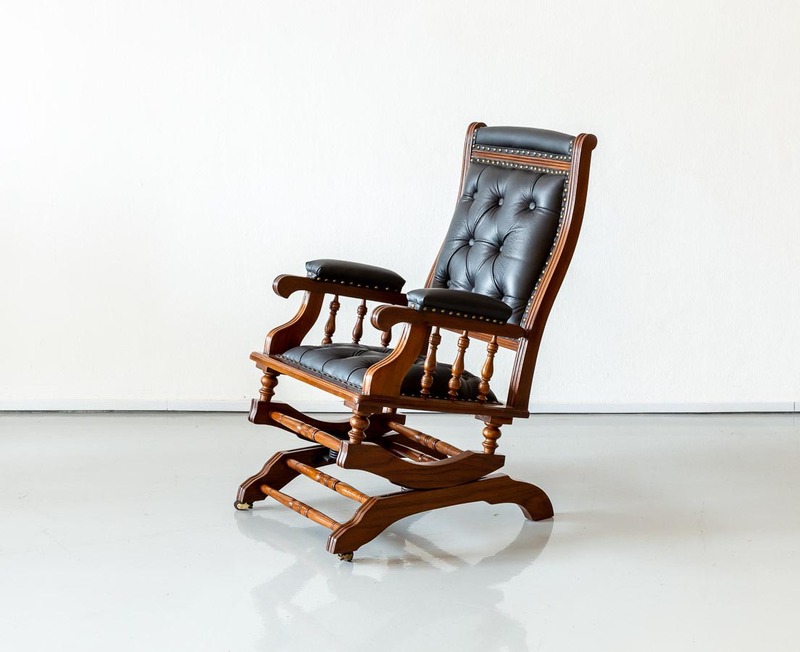 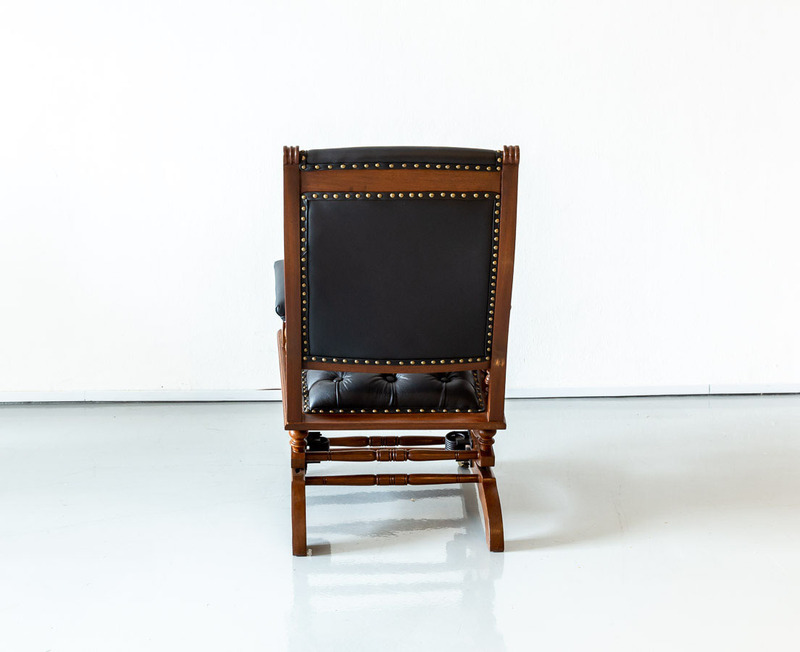 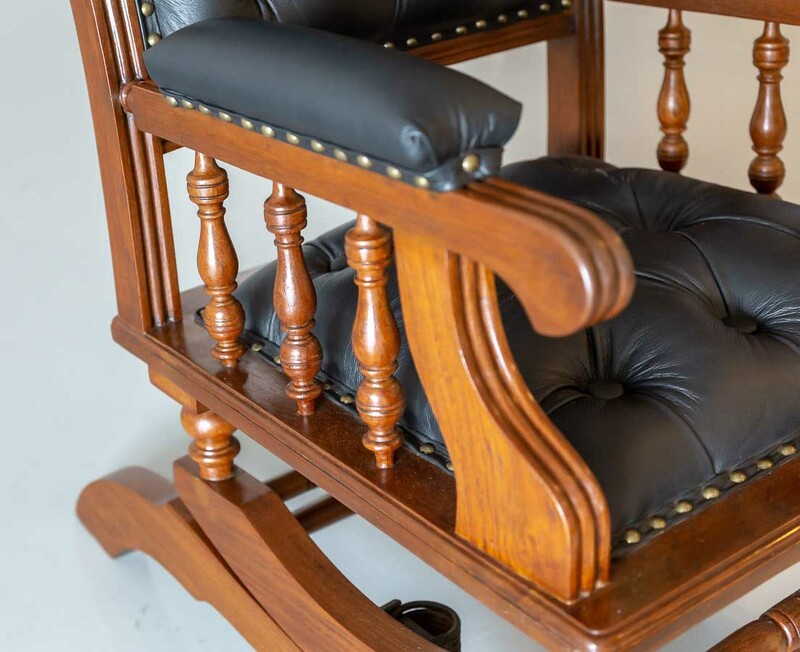 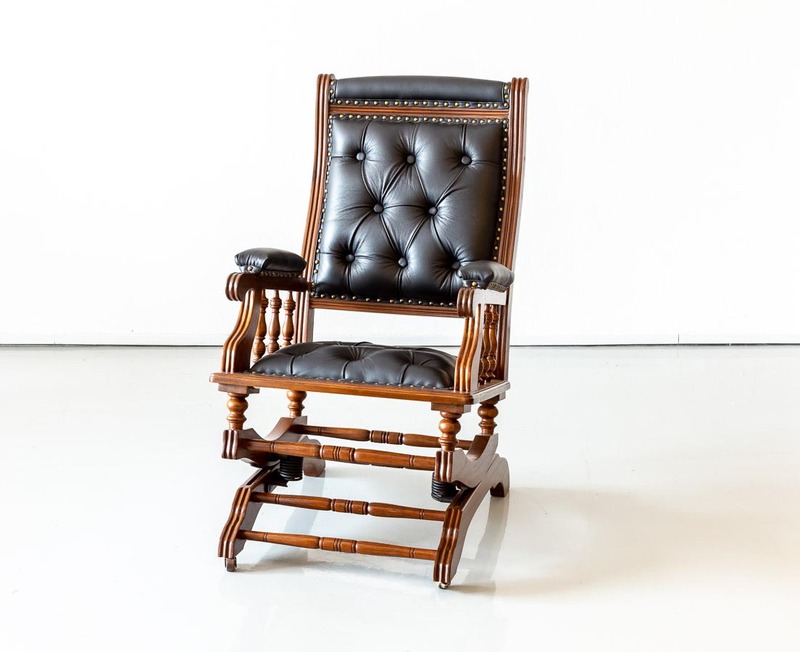 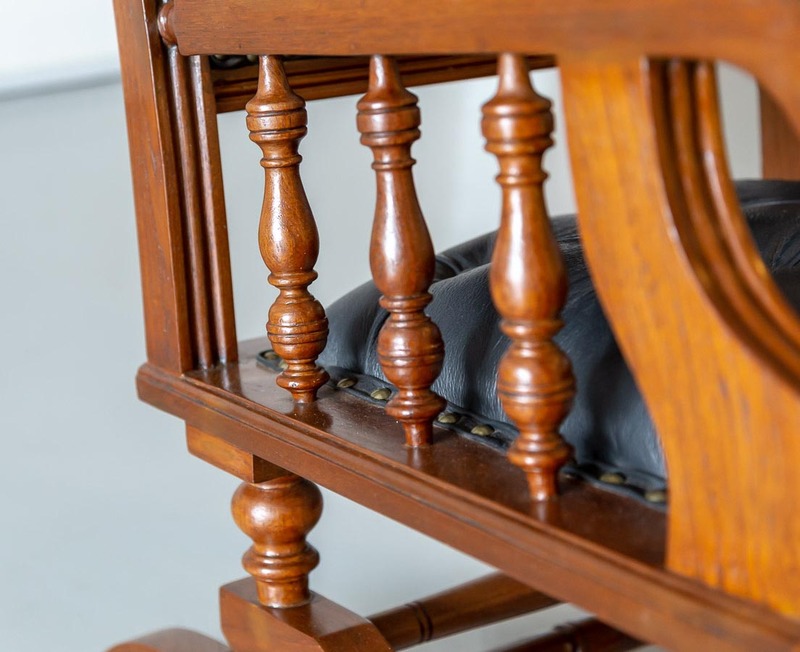 An unusual British colonial rocking chair in teakwood with a replaced black leather seat and back. 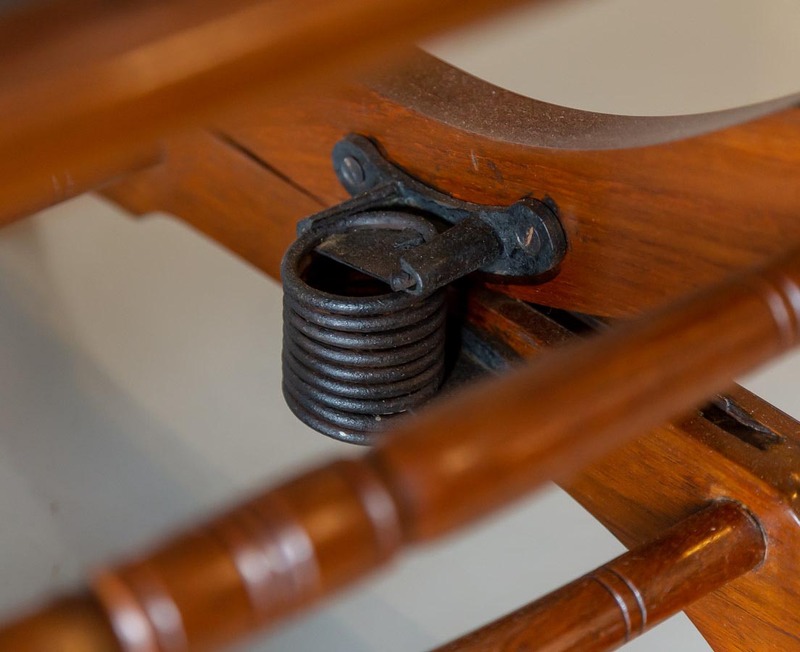 The two curved bands of the chair are not rocking on the floor, but on a base instead. 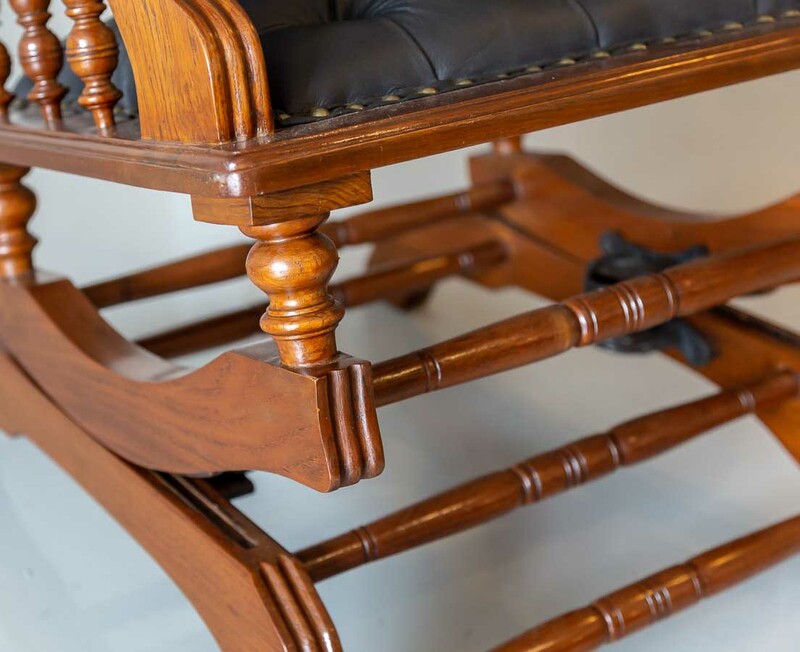 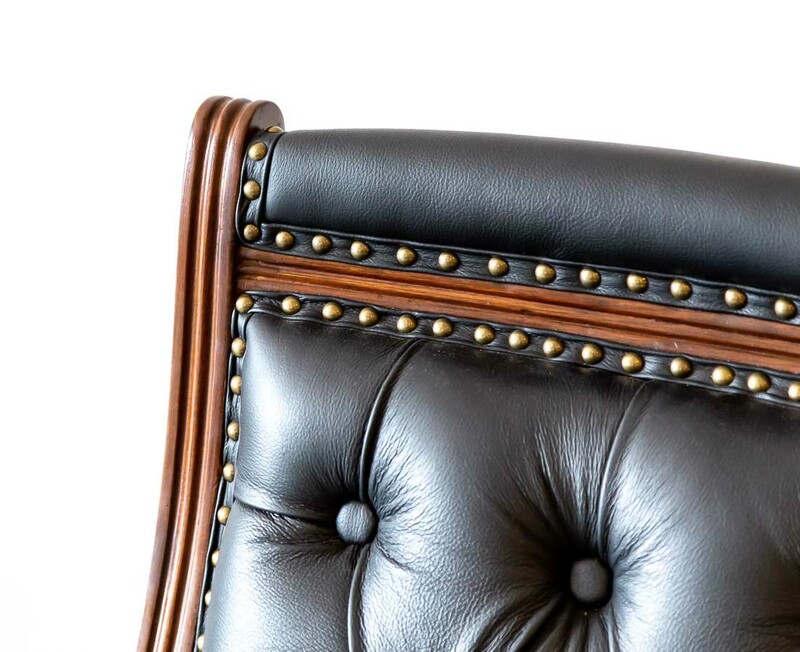 It is kept in place by a “rocking-mechanism” strengthened with iron springs that makes for a comfortable chair.